Beckham Burgundy & Navy Traditional Area Rug - 7'10" x 10'3"
Lay the foundation for an effortlessly chic space with this Chandelier Area Rug. 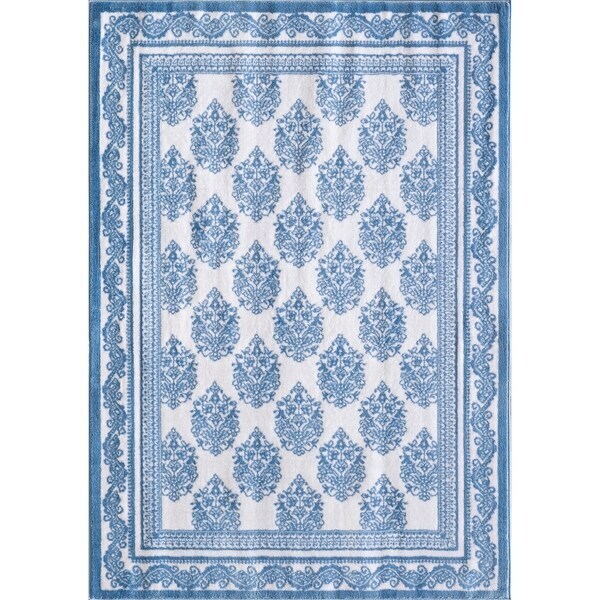 Available in a wide variety of sizes to suit any room, this unique rug showcases navy chandelier damasks framed with an eclectic mix of patterned borders. Soft and luxurious underfoot, the rug is made with durable and stain-resistant material for an eye-catching look that's built to last. Colonial Home Grey Traditional Geometric Area Rug - 5'3" x 7'6"